Which is why, if you're a home business owner, you'll be doing yourself a huge favor if you read every word of this article. Understanding how to use this strategy to grow your business will put you leaps and bounds ahead of your competition. By the end of this blog post, you should be able to implement things RIGHT AWAY to give you a serious advantage using Facebook messenger as a marketing tool. The Marketing Principles Stay the Same – But Now and Then a Platform Comes Along That Changes the Game! The elements of persuasion are based on human psychology. Persuasion is simply tapping on the emotional buttons that drive a person to take the action that you want them to take. Centuries of marketing have carved out the path for us. The words may change with the times, but the principles will not change. It's the simple process to take someone who doesn't know who you are, or that your product even exists, through the cycle to trust you and become a customer. Why Is Facebook Messenger Marketing the Next Great Marketing Medium? 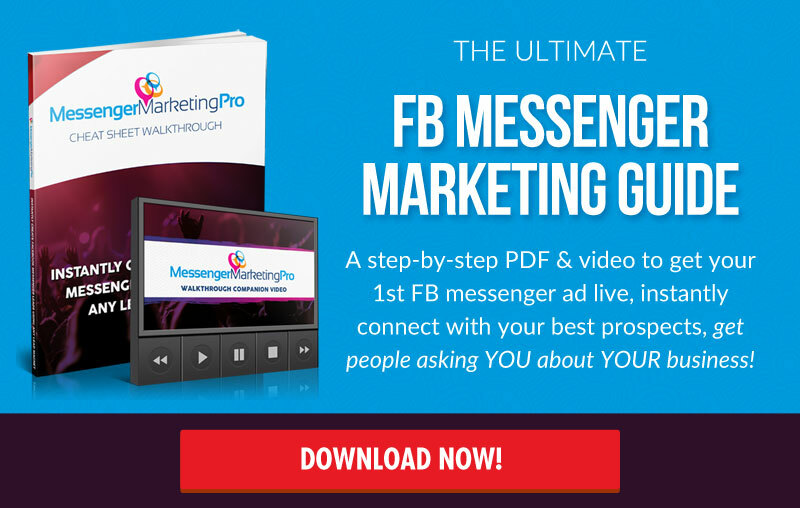 Grow a Lead List Directly Inside Facebook Messenger! Facebook Messenger Users Are Growing By Leaps and Bounds. Stay Responsive When You Can't Get to Your Computer or Phone! Facebook is obviously not new. People have been marketing there for quite some time now with both free and paid strategies. And as you've probably noticed, some do it better than others. That being said, Facebook messenger is not new either. However until now, it certainly has not been utilized to it's full potential as part of the sales process the way email has for example. Some people have haphazardly figured out how to use Facebook messenger as an effective tool to connect and even maybe recruit. But even then… the way that people are forced to do it currently, there are still steps that are disruptive to the sales process. For example, taking someone away from Facebook, over to a website or capture page in order for them to become your lead can break the flow. It can cause you to lose your prospect's attention. And we all know that attention spans are fickle these days. Especially online. As you'll see that's no longer the case due to a very cool tool that's available for you to streamline your marketing with Facebook Messenger. From Direct Mail, to Email Marketing, and NOW to Facebook Messenger Marketing! To fully understand just how powerful Facebook messenger marketing is to grow your business, it's worthwhile to take a quick look at how the marketing process has evolved. Before the internet, direct mail was the way to get in front of potential prospects who might be interested in what you have to offer. Physical mail was sent to the home or place of business; that piece of advertising hopefully sparked interest to have the person request more information; and from there, further physical mail was sent to complete the marketing process. Then came the internet. This made marketing cheaper, and faster. Capture pages bring “suspects” into a digital marketing funnel where they then become a lead. Using auto-responders, leads are brought through the funnel by providing value, with the intent of turning the suspect into a prospect. We build that essential ‘know', ‘like', and ‘trust' until the person realizes that you're the real deal, and they feel comfortable buying from you. Next you get a sale and a fatter bank account. This is hopefully where you're at now. And before we get too far in to this new marketing medium you're about to learn about, it's important to note that building an email list is still vital, still works, and you should continue to get leads into your email funnel. In fact email marketing is responsible for countless fortunes online. However now with Facebook Messenger Marketing, we've got something to complement email, and take some of the load off! Step-by-step PDF & video! 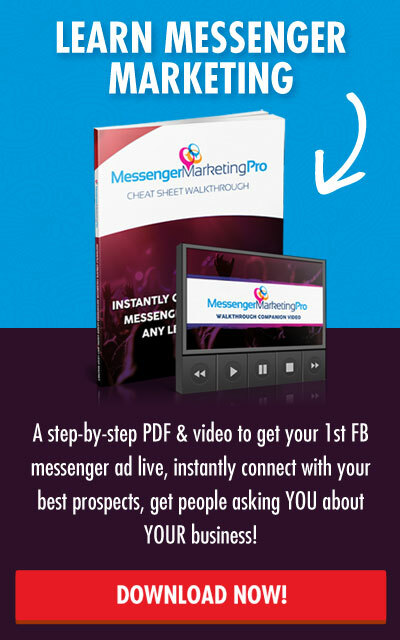 Get your 1st messenger ad live, instantly connect with your best prospects, get people asking YOU about YOUR business! Every now and then, a new marketing platform comes around that changes the game. Usually the best indication of whether that's going to be the case is simply by the reach of the audience, and the projected growth of that audience. Not to mention your ability to quickly communicate with your target market. With the fact that you can now gain your target market's attention AND communicate directly with them all in one spot… without having to take them away to another platform… it's safe to predict that this platform will be a highly-effective place to market for a very long time. 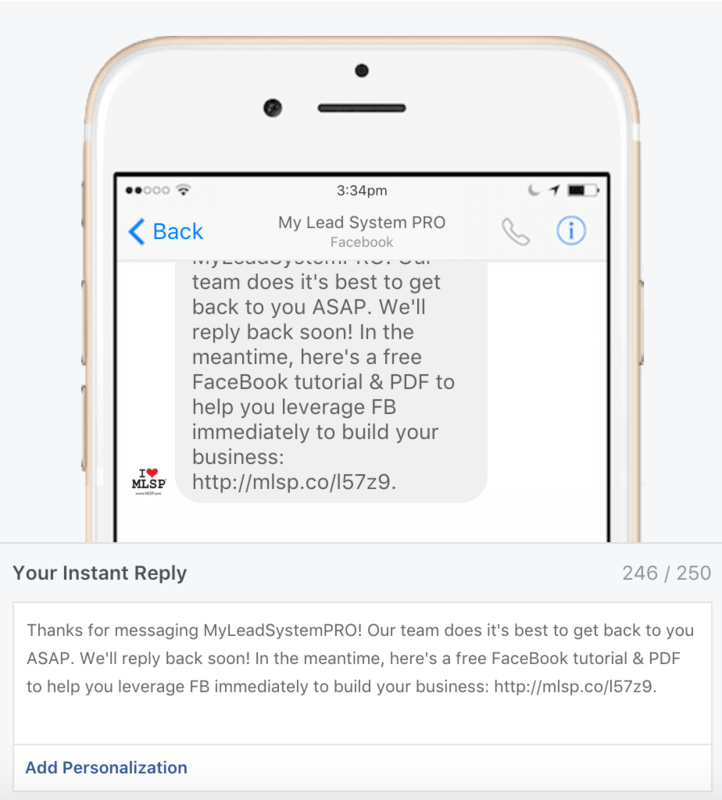 You Can Now Grow a Lead List Directly Inside Facebook Messenger! Before we move on too far, let's quickly compare Facebook Messenger Marketing with email marketing. To get someone onto your email marketing list, you have to fight to gain their attention on some sort of platform. Search engines, YouTube, Facebook, Twitter, you name it! There are tons of platforms out there to pull in leads, and having an effective social media marketing plan will have a massive affect on your business. Once you've gotten their attention on those platforms, you've got to fight for the click to send them to either your website or your lead page, in order to collect their information – which turns them into a lead. Next you've got to communicate with them through an auto-responder service, and take them eventually back to a web page where they'll either buy your product or join your opportunity. Whew! As you can see, not only is that a fairly long sales process, but there are a lot of moving parts (obstacles) to contend with… the biggest of which is taking someone away from where they already are online to another place online. 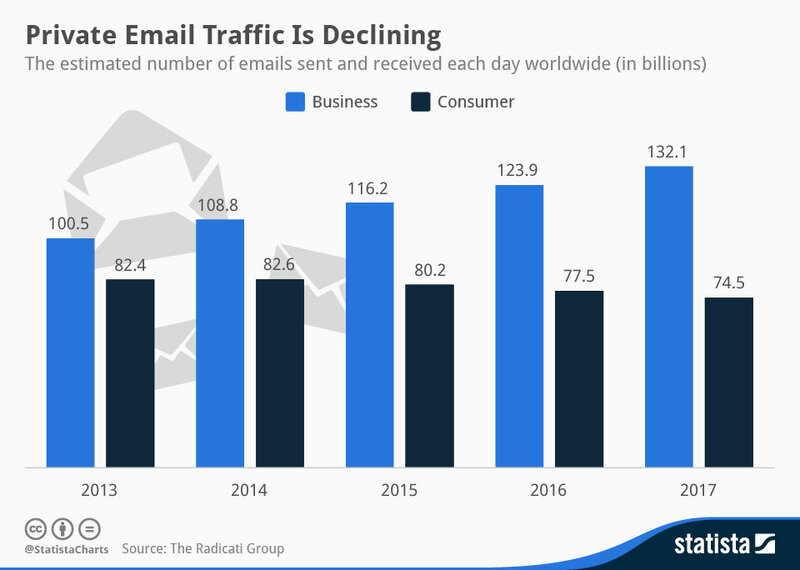 First of all, email open rates have been on a steady decline year after year. The average open rate is about 18% under the best of circumstances. But let's not forget that in the home business and network marketing arena, that open rate is likely even lower than the average. This is because people in this market space tend to be on many lists (aggressive lists) and therefore your competition is much greater than someone marketing in another space. Even spammers are getting the hint. Spam emails have actually been on the decline. The reason is that spammers simply see that they're not getting the same results as they used to. When the spammers smell something bad, you can guess that it's probably getting pretty darned bad. In Comparison – Facebook Continues to Grow! Facebook is also making more money per user. There are more advertisers, and more products are being sold on Facebook every single year. Something else very telling is that there are now over 5 million advertisers on Facebook, which is up from a couple million just a year or two ago. Messenger usage is projected to grow 40% through 2020! People are communicating through messenger now much like they do through text, or email a few years ago. What's even better is that of those that do use messenger, an average of 55% have purchased a product through this platform. Bottomline, Facebook Messenger is becoming a dominant platform for creating sales online. And again, when you use this tool effectively, especially adding an effective tool like ManyChat to the mix which automates much of your efforts (which you'll continue to understand as you go through this post), you never have to pull people away from Facebook. You keep them right where they are. Where they like to be. This streamlines the marketing process. And as you've probably noticed in your own life, people are glued to their phones…and jump when they see that they've got a message. From Target Market to Suspect: Someone from your target audience either clicks your ad, likes your page, engages in your post, or visits your site. From Suspect to Lead: Suspect gets taken to your website or landing page, fills out a form, and becomes a lead. Lead Becomes a Prospect: You've engaged this person in conversation, taken them through a funnel, and answered pre-qualifying questions. They're now voted most likely to buy. Customer: They've given you money to purchase a product or joined your opportunity. Identify Your Target Audience on Facebook: Same as above. From Target Audience Member to Suspect AND Lead: Person clicks an ad, or a website widget (more about that soon), leaves a comment, or clicks a Messenger Marketing referral URL (more about that soon as well) and AUTOMATICALLY becomes a lead in just ONE CLICK! From Prospect to Customer: ALL through Facebook Messenger, you've turned a person from target audience member to a customer. This can now be done quickly and seamlessly, without EVER taking the person away from Facebook. Let's start with something simple, but extremely powerful and will change the way you connect with hot prospects & leads forever! You may not realize it but within Facebook Messenger, you can use an auto-reply function. It just takes a couple of minutes to get it going, and it's super simple! 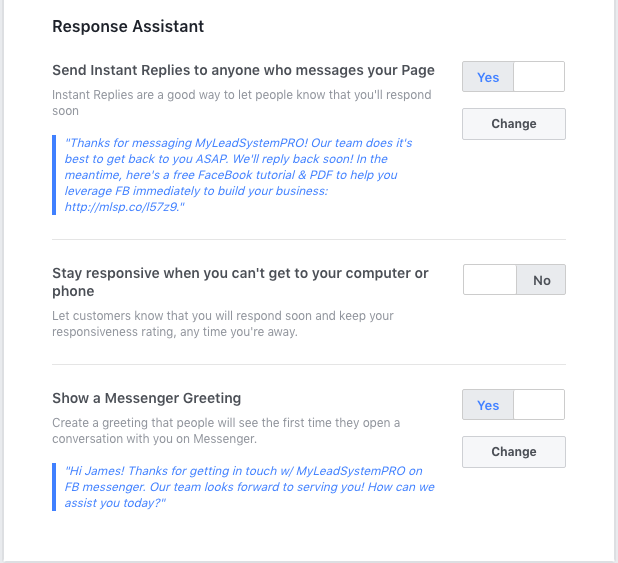 While you can use a Facebook chatbot service like ManyChat, the truth is you don't even need it to just get started using this auto-reply feature right inside Facebook. Let's set that up right now if you haven't yet. 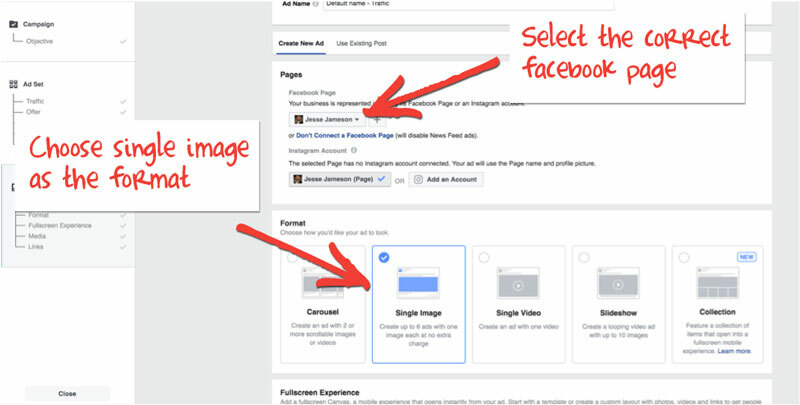 Step 1: Let's head to settings from your Facebook Fan/Business Page! Step 4: Just scroll down a bit, and you'll come to “Response Assistant”. As you can see, there are 3 options for messages you can set here! This is where things get pretty cool and make you look like a bit of a hero at the same time. Imagine someone visits your Facebook Fanpage and wants to know more about your business. They anxiously type you a message that says something like: “Hey, I checked out your page and I see tons of value here. What business are you in?” And they hit SEND! Now when that happens you've got a hot prospect you've attracted…asking YOU about YOUR business. Of course if you don't have this set up, you'd like to think they send the message and they're there tapping their finger waiting for a response. Let's not forget, people online have extremely short attention spans, so you don't want them to take off from your page without hearing back from you do you? Of course not. Because once they're gone – they're gone! Now, you've acknowledged them, you've responded to them, and you've sent them to your blog so you can give them more value, and hopefully even get them as an email subscriber. You didn't lose them in the deep rabbit hole of the internet trotting off to someone else's page. Once there, you'll be taken to a page where you can simply change the default message from Facebook, and hit “SAVE!” and you're all set! Option #2: Stay Responsive When You Can't Get to Your Computer or Phone! This sounds like almost the same thing as above, but this option is great for businesses and/or home business owners who have hours. Maybe you run a brick and mortar or online shop of some sort and you close at 5 pm. You can set the times when this type of message will go out! And you can actually schedule this response to go around your schedule. Just like the first option, you'll simply slide that NO over to a YES, and hit “Change”. You can then set up your message, and schedule the time it goes out! This one acts a bit different. It's set up the same way as far as creating your message, but with this feature you don't have to wait for someone to message you first. As soon as they open a conversation with you on Messenger, this greeting will be immediately sent to them! This allows YOU to initialize the conversation automatically. Simple! Choose the best ONE for you and your business, or you can choose all 3 of them. It depends on how deep you want to go with this. That's where a Messenger Bot like ManyChat comes into play! 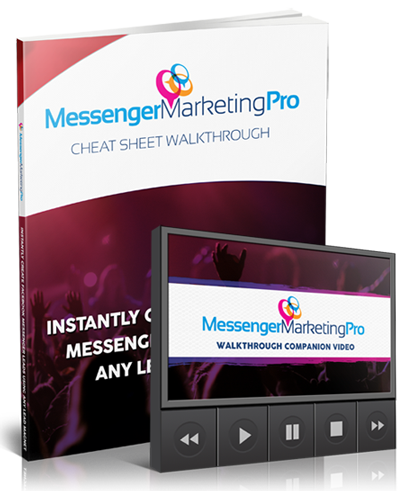 This makes the possibilities endless and turns your Facebook Messenger Marketing into a powerful and well-oiled machine! 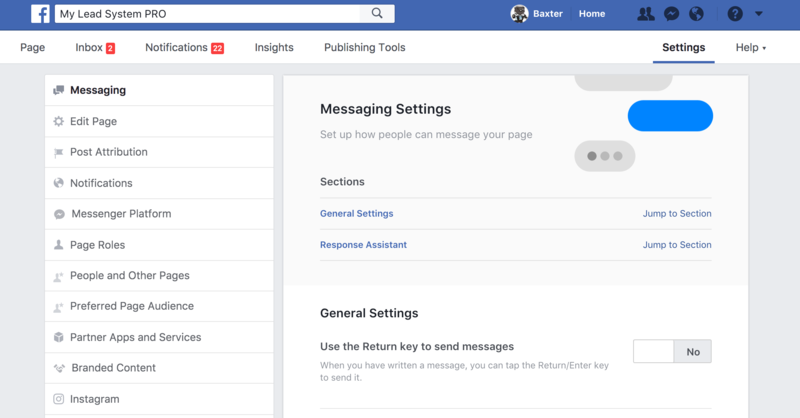 We're going to touch on some strategies you can utilize Manychat for, but first we want to show you how easy it is to set up your first Facebook Messenger ad! 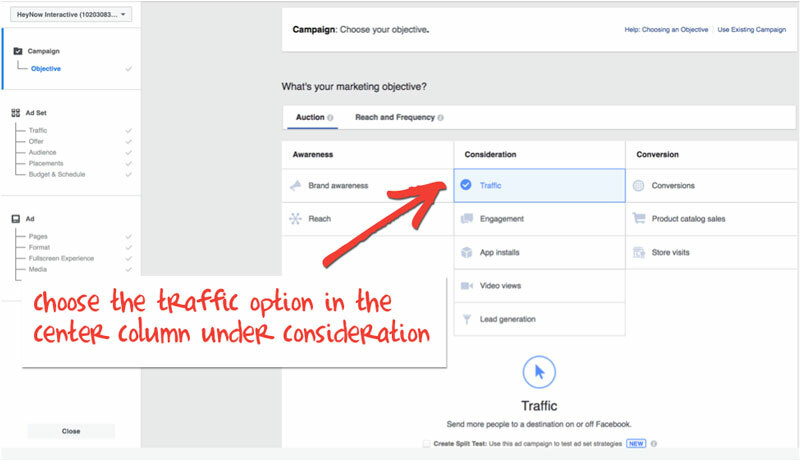 If you're a Facebook marketer, then you've likely run ads where the call to action was to a page to get new email subscribers. Now, you can use messenger as your traffic destination. 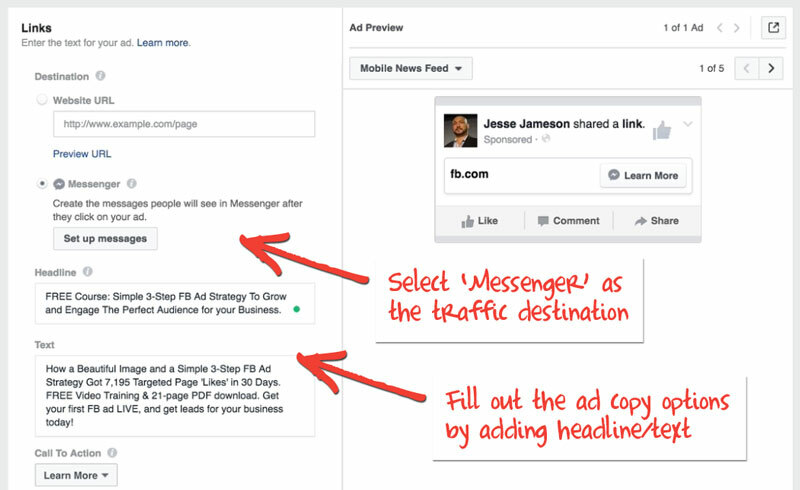 In other words, when they click the ad, you can automatically add them as a Facebook lead. Which also means that instead of sending them a lead magnet to their email, you can send the lead magnet through Facebook Messenger, and with one click they can download your PDF, go over to your website, whatever you choose. And you can continue to have a conversation with them right then and there. 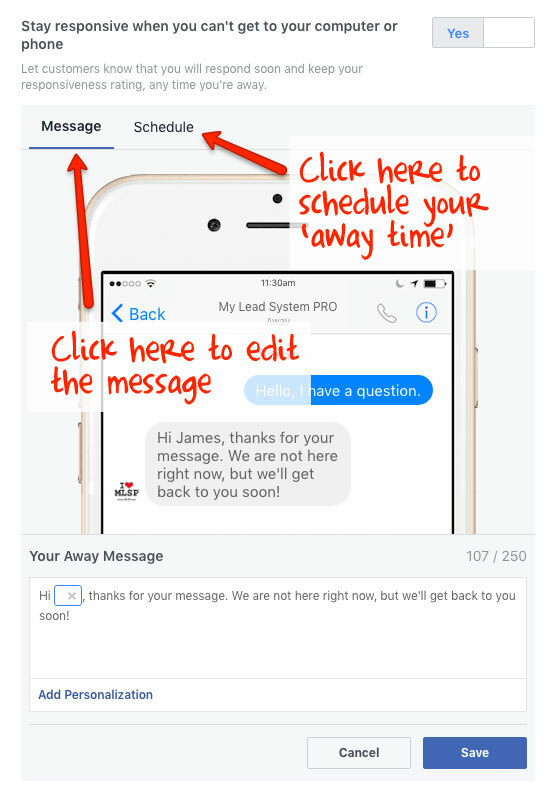 We're going to show you how to instantly create Facebook messenger leads using any lead magnet. We're going to go through the steps here pretty quickly. If you want a full step-by-step ‘picture-book' walkthrough of this process (along with a way to utilize these ads WITHOUT having to pay for an ad) just download our cheatsheet walkthrough. If you are an MLSP member, you know that you have access to dozens of free lead magnets and training you can give away, which we call system campaigns. If not, you simply want to get clear on what you are going to be offering your target market. It needs to be enticing enough for them to what to click on it to receive the value! Next, you will want to actually create an ad in facebook. You can either do this by clicking the ‘create ad' option from your main menu, or from the ‘create ad' button in the ads manager. The first step in creating any ad is choosing the ad objective (what do you want to accomplish). 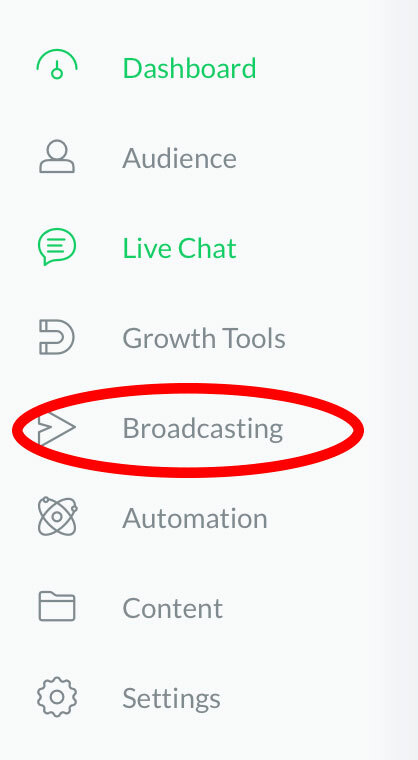 We want to choose the traffic option in the center column under consideration because we want to send traffic to messenger. Next you will create your ad set where you choose your target audience, placement, and budget the exact same way that you would with any ad. Once you've selected who you are going to be targeting, we move to the ad screen itself. Here we select the page that we want our ad associated with. (This is most likely your Fan Page) We are also going to choose single image as the format. You are going to start needing to fill out that information about the offer you have, so get that ready! Now as you scroll down the page, you'll see where you need to add your single image. Go ahead and upload that now. As you scroll down to the ‘Links' box, the first thing you want to do is select ‘Messenger' as the traffic destination, so just tick the little box next to messenger. Once you have all of that information set up, congratulations – you've completed the ad creation process! Now that our ad copy is complete, it's time to setup messenger to deliver what we have promised. We do that by clicking on the ‘Set Up Messages' button. 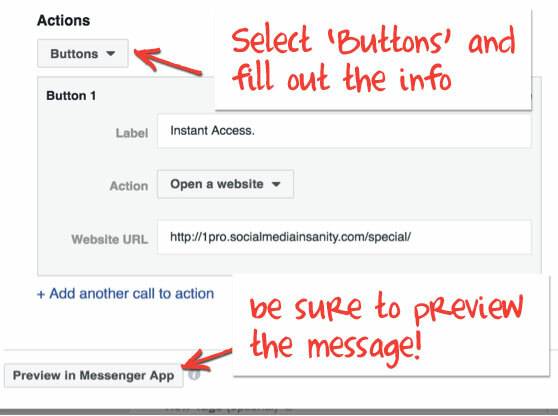 STEP 3 – Set Up Messenger! You want to change the actions option to ‘Buttons.' Once you do that you'll see some options you want to take care of. The ‘Label' is what the button says, you want the action to ‘Open A Website' – this is where you will put a link to your training, download, PDF – whatever the offer is. Lastly you'll want to preview the message to make sure you set it up correctly. And YOU ARE DONE! 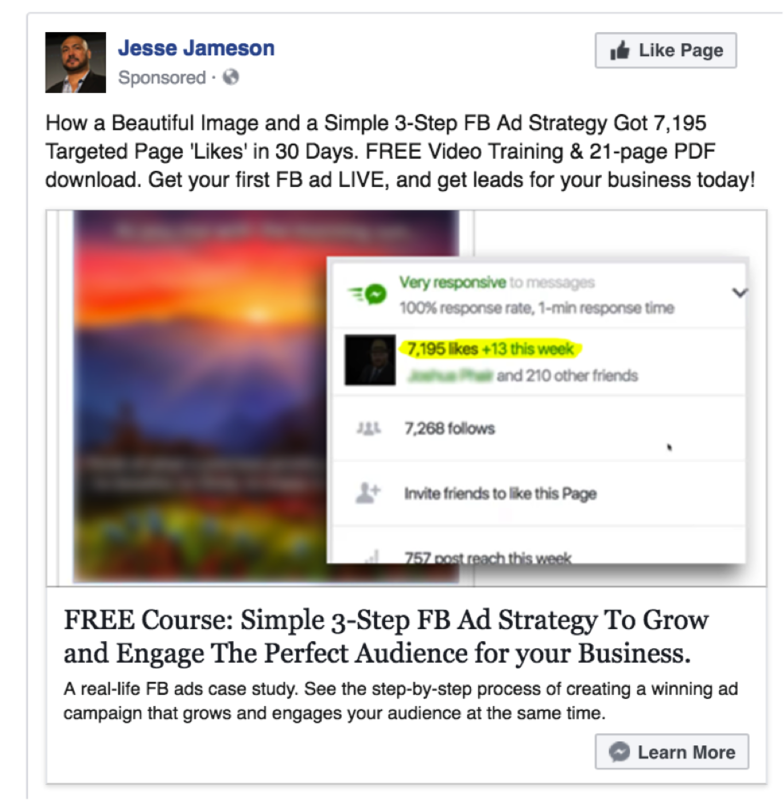 You just created your first Facebook Messenger Ad! Now we went through that pretty quickly, and there is also a way to take our Facebook Messenger Ad and post it to our page so our EXISTING fans can see it with zero ad cost, but we aren't going to cover that here. If you want to learn that and dive deeper again you can simply download our cheatsheet and video walkthrough. With you seeing just how easy it is to start setting up your own Facebook Messenger Ads, we want to show you some quick ideas and strategies you can begin to implement in your marketing by utilizing a Facebook Messenger chatbot service like manychat! So with all this talk about messenger marketing, what do you say we get into the meat and potatoes of this thing? Just how powerful is this ‘Manychat‘ we keep mentioning, and what can this marketing platform do for you? As you're about to find out… TONS! You may not be able to sleep tonight. So let's get to it! We've been doing a lot of comparing Facebook Messenger marketing to email marketing, and rightly so. Because essentially they work much the same. It's almost as though email has been the warm-up act for Facebook Messenger Marketing. Within messenger you can grow yourself a list of subscribers just like you can in your email auto-responder. There are two major differences, one we've already touched on a bit. With messenger, your subscriber never has to leave where they're already at. So you've got less of chance of course to lose them in the process. And just to sweeten that pot, your lead subscribes with ONE SINGLE CLICK. No more fake email addresses just to get your lead magnet. ONE-CLICK Subscribers! Where has this been all of our marketing lives? 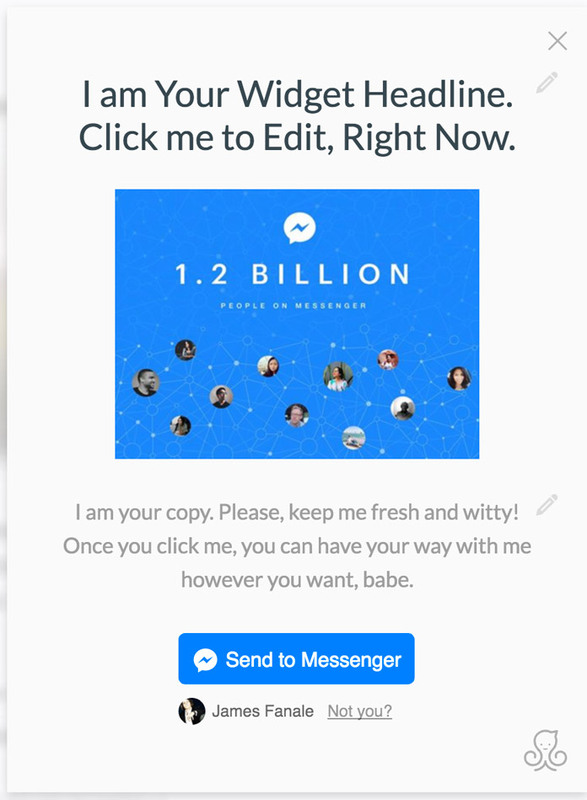 #2 You Can Add Messenger Overlay Widgets on Your Website! We've talked about how we don't have to take people away from Facebook with messenger marketing, which is great…but that's assuming that Facebook is where they're starting out. However, what if someone is not starting on Facebook but is on your website by way of search engines, videos, or however you've chosen to get traffic? Then what? 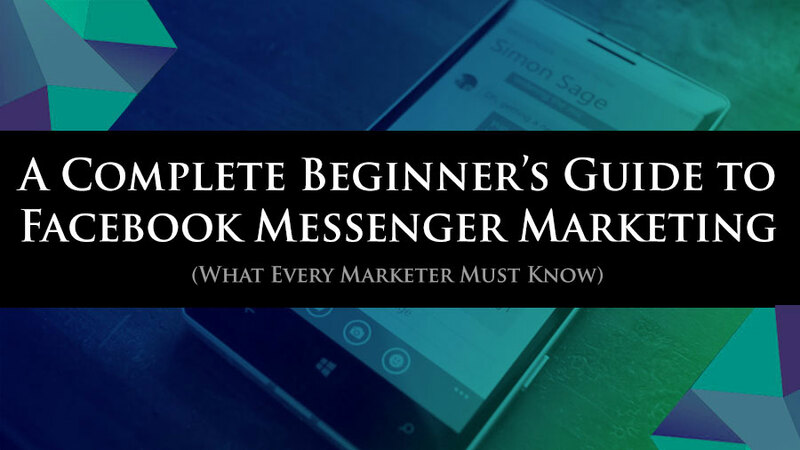 How can you add these visitors to your Facebook messenger list? That's where a Website Overlay Widget comes into play! These act much like an email form, only there's no form to fill out. It's a one click action. As soon as your visitor clicks on your overlay, they become a subscriber on Facebook Messenger. Currently, if you want to get a visitor on your list you may use a text link within your content…which takes them over to a capture page… where they have to fill out the email form to subscribe. With Messenger links, once they click that link, they're in. They're now your Messenger Subscriber, and you can send an automated message to them on Facebook. As you can see, this cuts out tons of steps! #4 Automatically Add Someone Who Makes a Comment on One of Your Facebook Posts to Your Messenger List! Basically, as soon as someone engages on your posts with a comment, they can automatically be sent to your Facebook Messenger list. So this allows you to strategically start (or more like continue) a more directed conversation with this person. And as you'll see, using the ManyChat tool, this can all be automated. #5 Automate Conversations with an Automated Sequence. NOTE: You Should Have Meaningful LIVE Conversations With Your Facebook Messenger Subscribers When Possible. While automation is possible using ManyChat as a tool – and of course it's extremely useful – it would be in your best interest to actually engage in LIVE real-time conversation with those on your list. This creates a better user experience, and let's you truly engage with people to dissect their specific wants and needs. However, beginning these conversations with a tool called ManyChat's automation is a great way to get the ball rolling, and qualify people that are interested in what you're offering at that time. #6 Send Broadcast and Follow Up Campaign Messages to Your Facebook Subscribers! Why do we build a list? So we can communicate with our leads of course. That's the point of building an email list, and it's also the point of building a Facebook Marketing List! Just like with email, you can shoot out a broadcast message to your Facebook list. You can send a broadcast to all of your subscribers, or send to only a portion of your list using TAGS that you set in place. It's simple, to do. Let's REALLY Put These Strategies In Action Starting RIGHT NOW! The key to success is action and implementation! And we've made it super simple for you to do just that starting THIS minute. Any type of ‘make money' or ‘income claim' could get your Facebook ad account down, get you thrown in Facebook ‘Jail,' or even get your entire account shutdown. Facebook Messenger Marketing is the way to finally circumvent that obstacle. 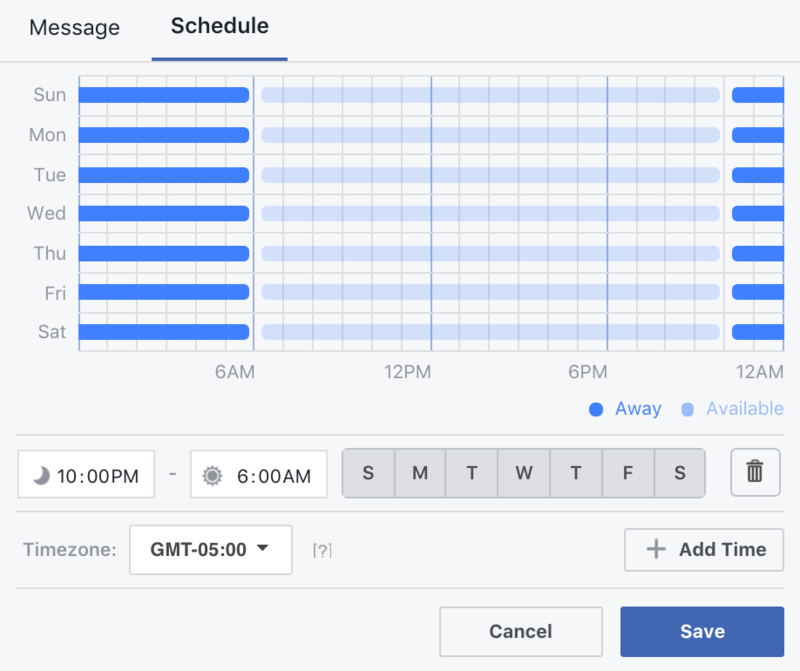 So as you can see, Facebook Messenger when combined with the automation features of the mighty ManyChat bot is a game changer along the same lines as email marketing was back in the day. Only so far it's absolutely obliterating email as far as stats and effectiveness. Jump on board now, and blast far ahead of your competition. Did you get value from this post? Do you agree / disagree with what we said? We would love to hear your thoughts – share your ideas in the comments here!